Park Glen is an active adult community in New Milford, Connecticut. This neighborhood of 17 attached homes features landscaped yards and walking trails. Homes were designed with luxury features and open layouts. With convenient access to the highway, residents are a short drive away from daily conveniences, outdoor recreation, and entertainment. Residents of Park Glen can take a stroll through the community’s walking trails or bring a meal to the picnic area that features a butterfly garden. The homeowners’ association (HOA) provides exterior home maintenance, groundskeeping, and snow removal. With the neighborhood kept in good condition, residents can forget about mowing the lawn and spend more time socializing, pursuing hobbies, or traveling. Construction in Park Glen began in 2006 and concluded in 2015 with 17 attached homes. These homes range in size from 1,900 to 2,573 square feet and have two bedrooms, two bathrooms, and an attached two-car garage. Townhouses were designed for energy efficiency and single-floor living. Features in some homes include hardwood floors, granite countertops, and stainless steel appliances. Park Glen is located right next to a grocery store, and restaurants, shops, and pharmacies are just a short drive away. Golfers can visit a number of courses in the region including Lake Waramaug Country Club, Bulls Bridge Golf Club, or Candlewood Valley Country Club. North of the community, Lake Waramaug State Park offers fishing, camping, and picnicking. Danbury is a half-hour drive away. Active adults seeking a home with luxurious features in a picturesque location will love Park Glen in New Millford, CT. Check back soon for more information on the lifestyle in Park Glen. Construction in Park Glen began in 2006 and concluded in 2015 with 17 attached homes. These homes range in size from 1,900 to 2,573 square feet and have two bedrooms, two bathrooms, and an attached two-car garage. Townhouses were designed for energy efficiency and single-floor living. Features in some homes include hardwood floors, granite countertops, and stainless steel appliances. Please Note: Floor plans are not available at this time. 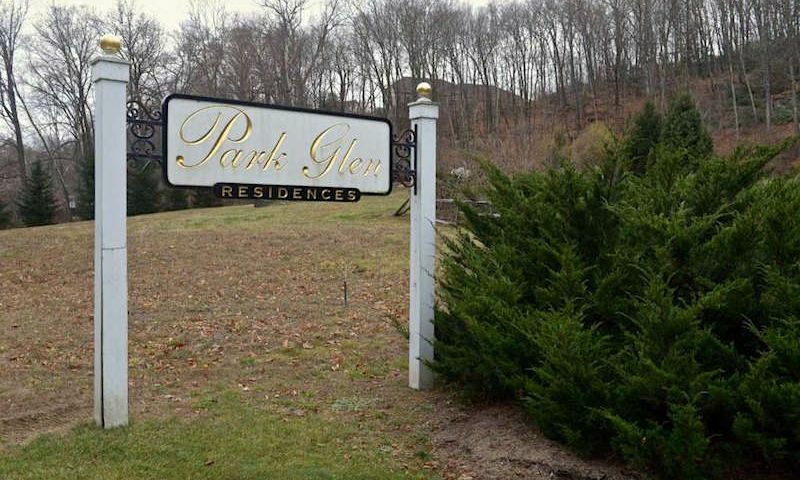 55places.com is not affiliated with the developer(s) or homeowners association of Park Glen. The information you submit is distributed to a 55places.com Partner Agent, who is a licensed real estate agent. The information regarding Park Glen has not been verified or approved by the developer or homeowners association. Please verify all information prior to purchasing. 55places.com is not responsible for any errors regarding the information displayed on this website.